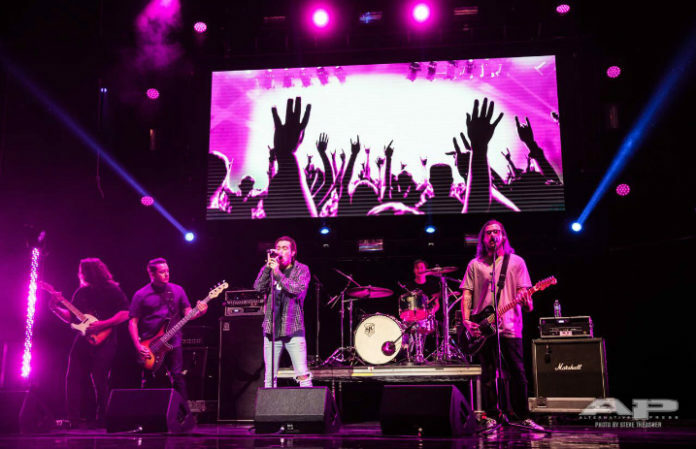 To celebrate the release of the newest Punk Goes Pop compilation, State Champs and Grayscale have endowed the State Theater with a smash performance of Justin Bieber and Shawn Mendes covers. Catch the must-see moment below! Punk Goes Pop is hot-off-the-press—it released July 14 and features covers from fellow APMAs performers New Years Day and Dance Gavin Dance, as well as a collaboration between Juliet Simms and show host Andy Biersack. Have a listen here. State Champs, who contributed a cover of Mendes' “Stitches,” are nominated for Music Video Of The Year while Derek DiScanio is nominated for Best Vocalist and Ryan Scott Graham is nominated for Best Bassist. Grayscale, who contributed a cover of Bieber's “Love Yourself,” released their new record May 5 via Fearless Records.